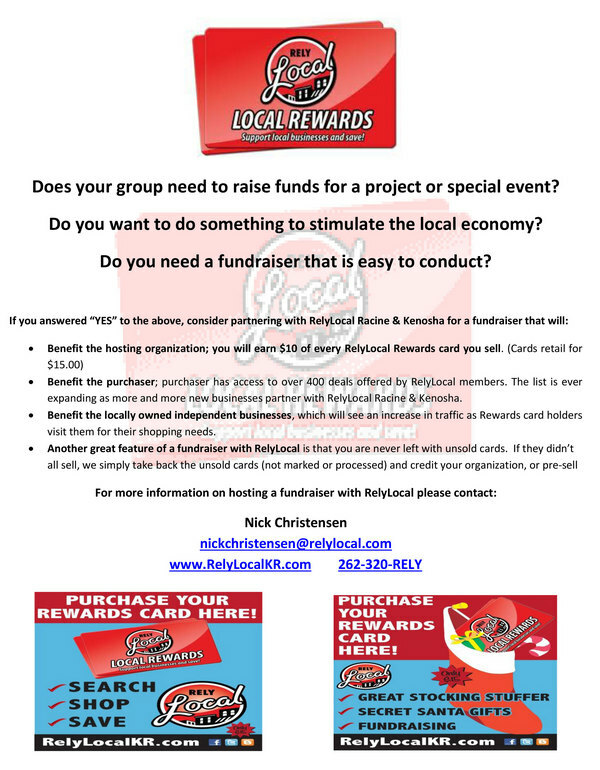 Does your group need to raise funds for a project or special event? Do you want to do something to stimulate the local economy? Do you need a fundraiser that is easy to conduct? · Benefit the purchaser; purchaser has access to over 400 deals offered by RelyLocal members. 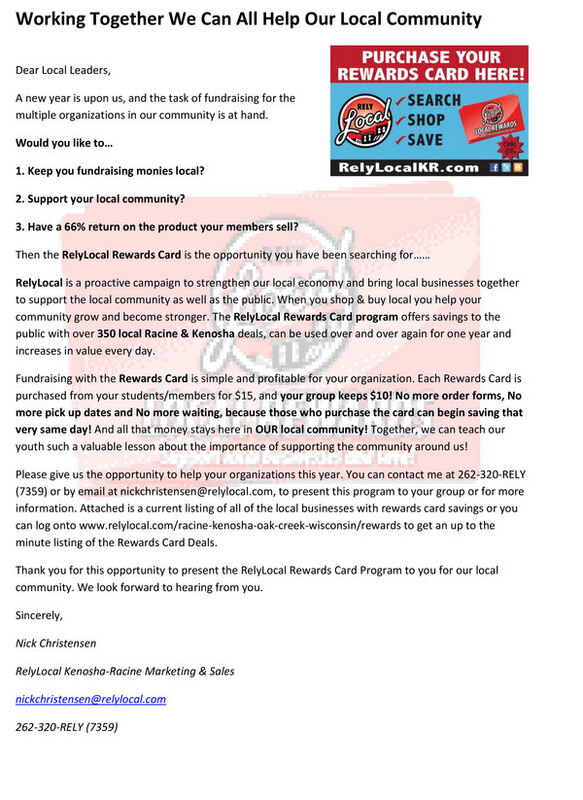 The list is ever expanding as more and more new businesses partner with RelyLocal Racine & Kenosha. 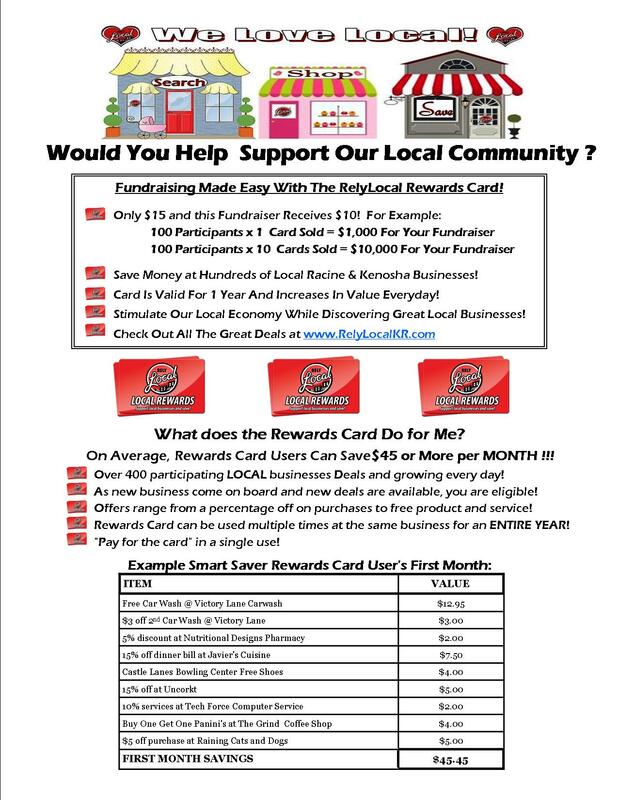 · Benefit the locally owned independent businesses, which will see an increase in traffic as Rewards card holders visit them for their shopping needs.